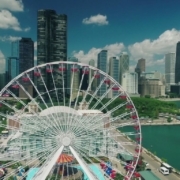 Premium J1 Summer Work Travel jobs available for application now in Chicago. 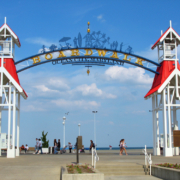 Servers, Busser, Hosts, Runners & Barbacks restaurant positions available in Navy Pier. Moving Helper positions also available. Click here to request application form (you can indicate in message box which position you are interested in). 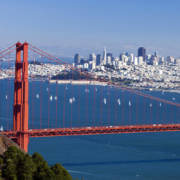 Are you planning to go to San Francisco for your J1 Summer Work Travel program? Job positions now available located near the famous San Francisco Wharf area, Pier 39 and the Embarcadero. Cashier, Busser, Kitchen, Dishwasher $14 per hour & Counter Staff $14 per hour. Early bird offer: €649 includes insurance cover and you book your own flights. Excludes SEVIS and Embassy Fees. Current positions in available in New York with our J-1 Summer Work Travel Job Assist option. Students will be responsible for preparing and serving food and beverages from food concessions, as well as handling cash. The locations students wil work at are located through the 5 borough’s of NYC and Long Island. You will also be working as a ride operator and ride attendant. The job will require students to help set up the stands and carry supplies. They will also need to help keep the food preparation area clean and restock supplies. $10.75 per hour. 5-7 hours per day 6 days per week. MUST have a fun, friendly, positive attitude! Must like working with children and have a strong desire to provide GREAT customer service! Must ENJOY SMILING! MUST be physically able to work long hours outside in full sun and heat. MUST be able to stand for long periods of time. MUST be alert and focused when working. MUST ensure a safe and fun experience for guests. Will monitor and operate rides. Requires some physical labor during the rain to remove water from the park. $11 per hour. 32 hours per week. Must be a team player and be willing to work in all areas. Energetic personality who wants to work and meet people is the ideal candidate. a) Salad Choppers: Must have food knowledge of salad products. Be very passionate while talking with guests. Strong attention to detail and have the ability to be very clean and health conscience. Cashiers: Must have great customer service ability. 28 Hours Per Week. $11.00 per hour. Part time position so you may find another job in the evening if you wish. 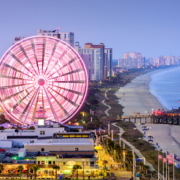 Heading to Myrtle Beach for your J-1 Summer Work Travel Visa this summer. We have restaurant worker and cashier/sales person jobs available with our J-1 Summer Work Travel Job Assist option. Only $699. Book your own flights and insurance. Also, if you have your job sourced we have self placement option: only $499. Book your own flights (insurance not included). 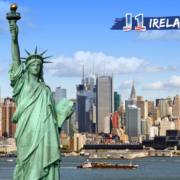 Heading to New York City on your J-1 Summer Work Travel Visa. We have positions available in Central Park, Manhattan. Wage $11 per hour. Cost of this Summer Work Travel Program is $699. Book your own flights and insurance included. Sourced your own job: we have $499 option – book your own flights and insurance.